FRESNO, Calif. (KFSN) -- The Big Fresno Fair with "Pink Heals" wanted to acknowledge an individual in the agriculture community who is in need of some uplifting support and love. The Fair says "Michelle", an amazing wife and mother, has given of herself selfishly, was diagnosed 3 weeks ago with stage 4 breast cancer. 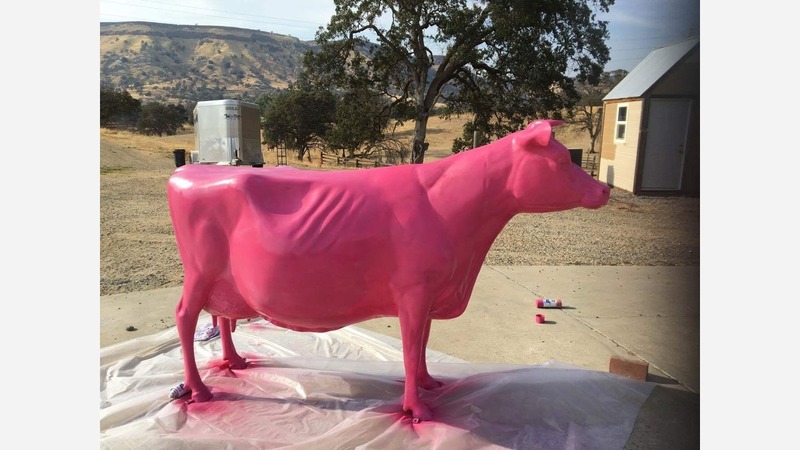 A Fair employee painted the cow pink, and hopes that this will boost her spirits, and let her know that she is not alone in this battle. The Pink Cow named after "Michelle" will be on display in the Fur & Feathers building. The Fresno Fair wants fairgoers to sign the cow during the October (Breast Cancer Awareness month) Fresno Fair, Oct 4-15, 2017. The Fresno County Pink Heals Chapter, brings support to individuals and their family on a personal level.